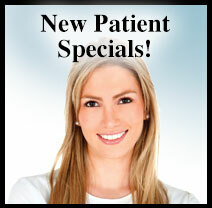 Smile makeovers, in Las Cruces NM, with teeth whitening, white fillings, crowns, veneers! Actual patients of our practice. There are choices for obtaining your best smile, and we offer a wide variety of techniques. We have KöR® Whitening for your brightest smile, Six Month Smiles™ for even, straight teeth, veneers to makeover your smile, and dental implants for a full, natural-looking smile. And that's not all! Interested in learning more about how the latest advances in cosmetic dentistry can make over your smile? Call us for a no cost/no obligation consultation at (575) 522-1983.